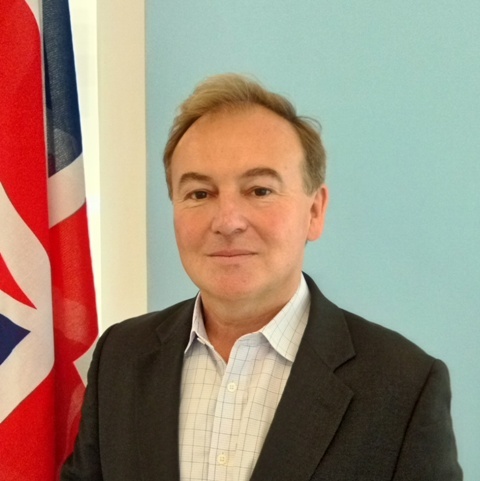 Chennai: Jeremy Pilmore-Bedford is the new British Deputy High Commissioner in Chennai. He succeeds Bharat Joshi who left for the UK recently. Elaborating on Trade, Investment & Prosperity work from Chennai, Pilmore-Bedford said, “We support Indo-UK business links with a focus on future-tech, automotive/advanced manufacturing, healthcare and attracting high-value investment to the UK. My immediate priority is to encourage partners from Tamil Nadu & Kerala with interest or expertise in AI/data, future mobility, fintech, cybersecurity, future health-tech to actively participate in our Future Tech Festival in Delhi in December 2018. “India is our biggest visa operation world-wide and Chennai serves South India & Sri Lanka through seven Visa Application Centres (VACs) in the region. Our Consular team serves British nationals living in or travelling through South India. Our Public Affairs team has led pan-India projects driven by Indian civil society to address violence against women and children. British Council in Chennai has links across South India in English Language/Teacher training, NextGen outreach including support to youth employability. Many UK alumni here are friends of the High Commission helping us expand links in school and higher education, research and skills/training”, he added. Jeremy Pilmore-Bedford comes to India from the UK Foreign & Commonwealth Office’s (FCO) US Network where he was Consul General in the southeast of the US for four-and-a-half years. He was earlier Head of the Caribbean, Mexico and Central America Department in London. He has served in south-east Asia twice as well as in Russia and Qatar.